It’s True! Partnering is relevant no matter where you are in your business. 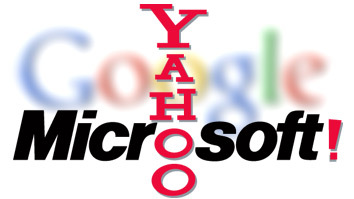 Microsoft and Yahoo finally reached an online search partnership on Wednesday in an effort to overtake Google. The deal involves Yahoo.com and newly formed Microsoft search engine Bing.com where Yahoo.com’s search engine will say “powered by Bing” and Yahoo will commit to bringing in premium advertisers. In return, Bing will send over 88% of their revenue produced from the Yahoo site. This is a 10-year deal that I believe is going to work tremendously well for them. These are two incredibly powerful companies that know what they are doing, and they will do whatever it takes to rise above the competition, even if it means partnering. This really shows how important partnering actually is, it is impossible to do everything alone, especially when you want to be the best! I can’t wait to see how this plays out. What search engine will you be using? Google? Bing? Yahoo powered by Bing? For more information on the big deal, CLICK HERE. And for more information on “How to Partner Your Way to Millions”, CLICK HERE.